My inspiration this week comes from our garden. but also to aid in soothing a specific ailment, as well as to add taste/flavour to your food. and your medicine be your food." This hasn't been a good year health-wise for me. I've had two severe respiratory tract infections, both times treated with antibiotics, which have had a range of noticeable side-effects. So, after coming down with a nasty throat infection and cough over the weekend (and refusing to go to the doctor), I decided to turn to our garden for medicinal inspiration. No over-exagerating here, but within two hours of making an infusion (whose recipe I'll share with you during the week), my symptoms had lessened by three-quarters! 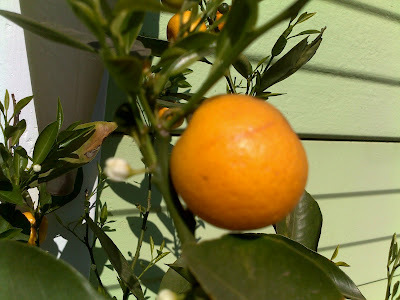 Today's post focuses on Vitamin C, a useful antioxidant; co-factor for enzymes and natural antihistamine. This vitamin is available in most fresh fruits and veggies, but is best if foraged fresh from your own garden. Chilli plants, aside from making pretty flowers, make peppers useful for adding heat to dishes. They provide a great natural dose of Vitamin C and help to open one's sinuses! 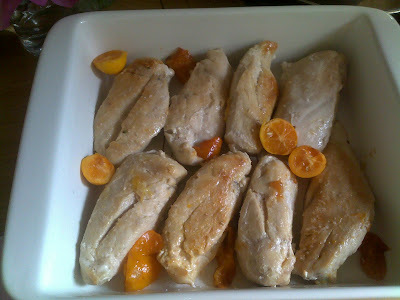 ...Over a low heat, pan fry chicken breasts in a little cold-pressed coconut oil and calamondin juice; adding the tiny, thin orange peels which will become caramelised and add great flavour. 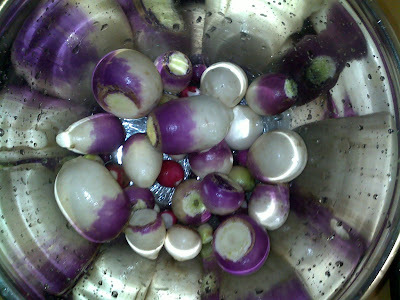 Turnips are an under-rated vegetable, often viewed only as feed for pigs. 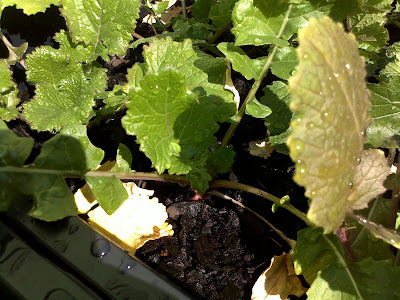 An easy to grow root vegetable, turnips harvested while young are soft, tasty and delicious. Again, these offer a dose of Vitamin C (about 27mg per 100g). Cut the green tops off of the turnips; wash any dirt off; and then roast the baby turnips whole in a 180 degree Celsius oven drizzled with olive oil and sprinkled with salt for about 30 minutes. Delicious! Oh-so-pretty cherry tomatoes. So easy to grown and yummy to eat; tomatoes supply lycopene (an antioxidant) and Vitamin C.
Look, I'm not a fan of turnips, but yours has such beautiful colouring!